Adarna Food & Culture was conceptualized by partners Beth Angsioco and Chef Giney Villar showcasing Filipino antiques and different Filipino flavors around the country. 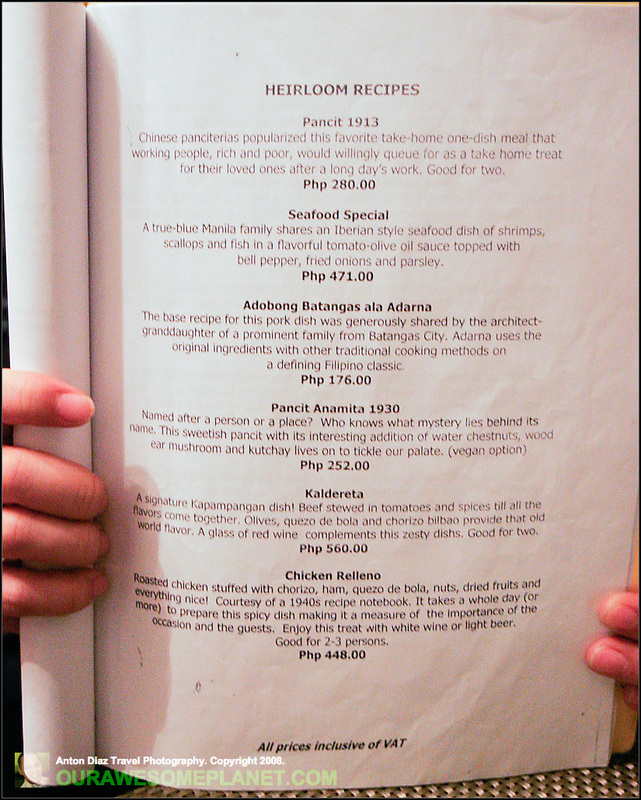 The restaurant is a reapplication of Beth Angsioco’s Adarna house and the first resto for AHA-graduate Chef Giney Villar. The food and ambiance is quite unique so you got to check this out and let me know what you think. 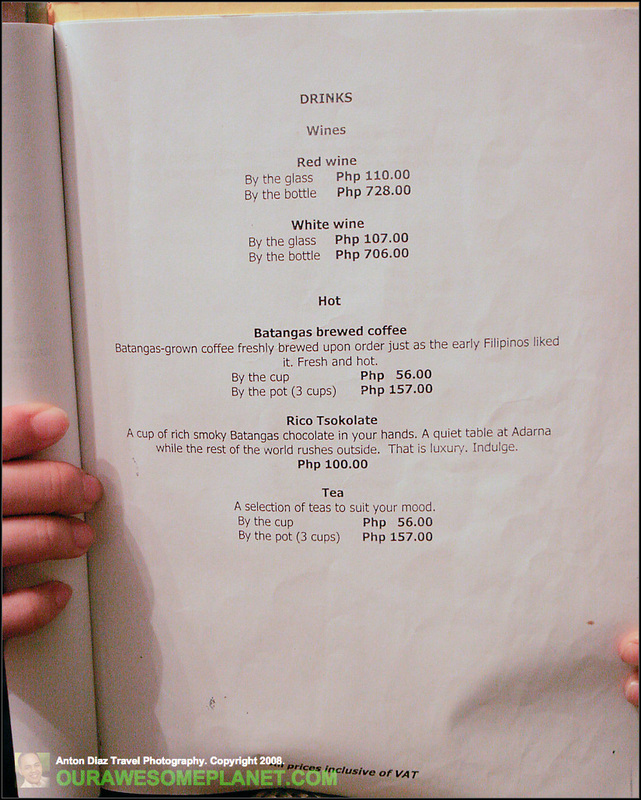 Coincidentally, we bought a book from Adarna House (in the recent book fair) about the Ibong Adarna. We read the story to Aidan regularly and we promised him that we will bring him to see Ibong Adarna. He would love to see that painting of the Ibong Adarna above. Adarna is a Filipino magical bird that can cure sickness just by listening to its songs and can turn you into stone with its poop. 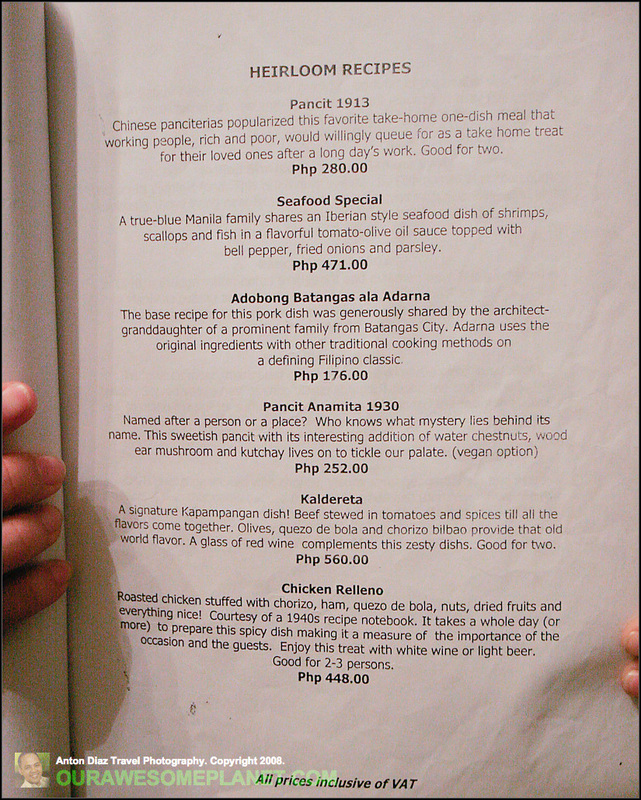 The restaurant was named Adarna to proclaim its Filipino heritage and the “magical” dining experience it offers. I love to see old newspapers and this one with a headline about Magsaysay’s inauguration and later on his funeral. Felicidad (P 120). 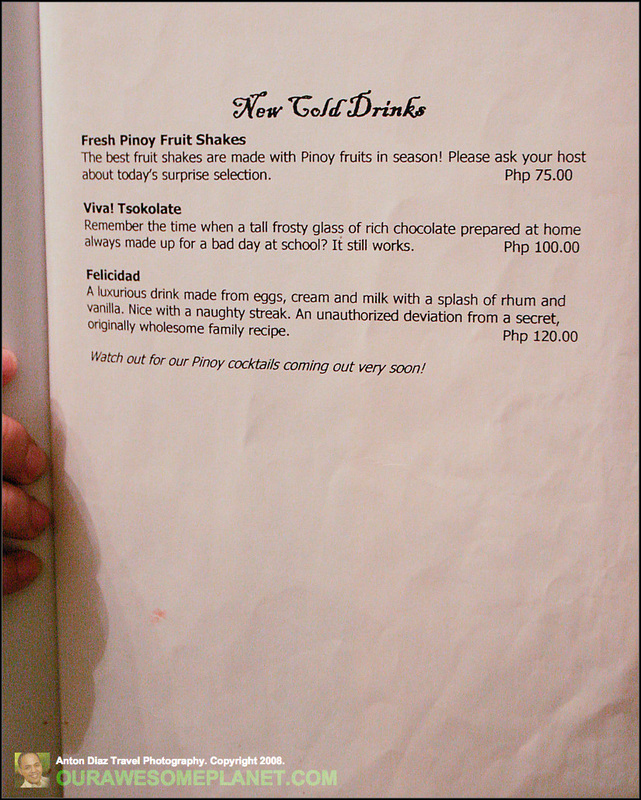 A luxurious drink made from eggs, cream, milk with a splash of rhum and vanilla. Nice with a naughty streak. An unauthorized deviation from a secret originally wholesome family recipe. This is something unique that you got to try. It is like drinking sweet cream that is very addicting. 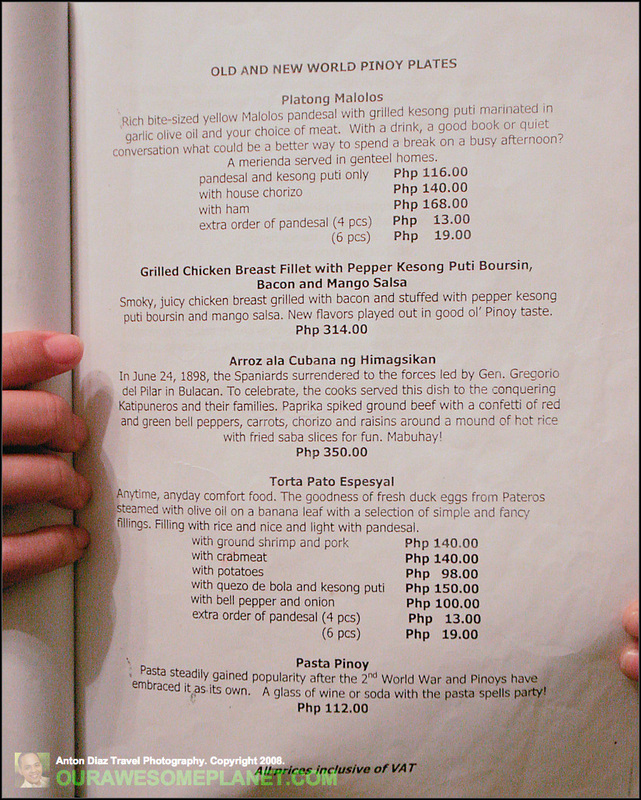 Seafood Special (P471). A true-blue Manila family shares an Iberian style seafood dish of shrimps, scallops and fish in a flavorful tomato-olive oil suace topped with bell pepper, fried onions and parsley. This is one of their best sellers. 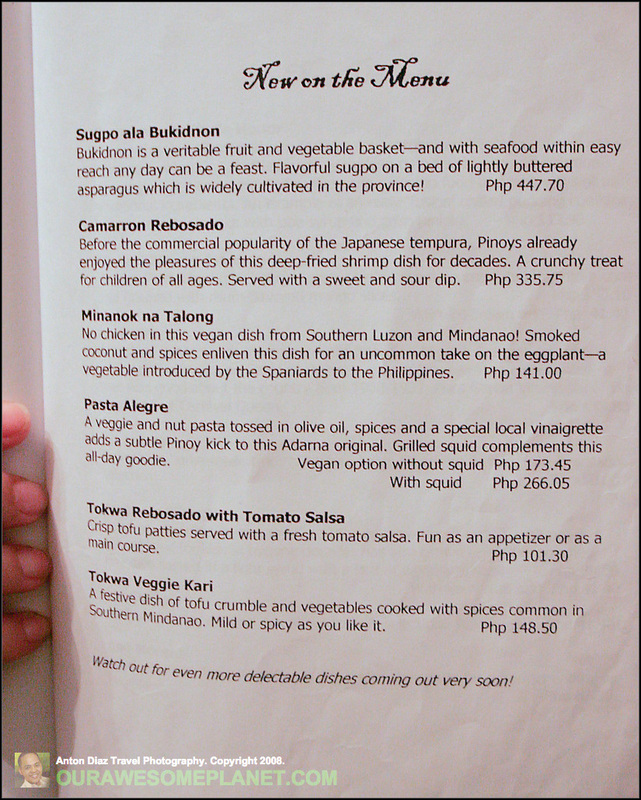 Adarna specializes on unique sauces like this oily tomato sauce that is sweet with a spicy kick in the end. Piassok (P304).From Mindanao, experience this exotic Sulu dish of beef chunks cooked slowly in smoked coconut cream and ten spices till tender then buttered and grilled just before serving. 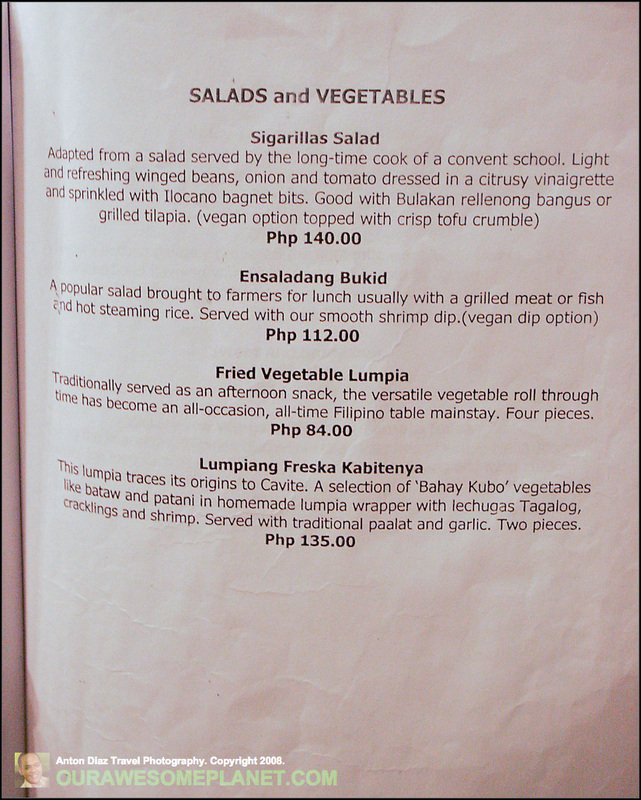 With a description like exotic Sulu dish, we decided to try this. The coconut cream is not offensive. The sauce is rich and complicated. Batanes Yellow Rice Family Size (P130). From up north, a rice dish that is so simple it is elegant. Turmeric, garlic and a bit of pork flavors the rice for a special treat. Platanillos con Mangga (P150). Light cream on crepe twirled into a cone and finished with rhum-flavored mango slices. Technically it is mango crepe but the light creme and rhum gives it a different yummy treat and a fitting end to the magical meal. 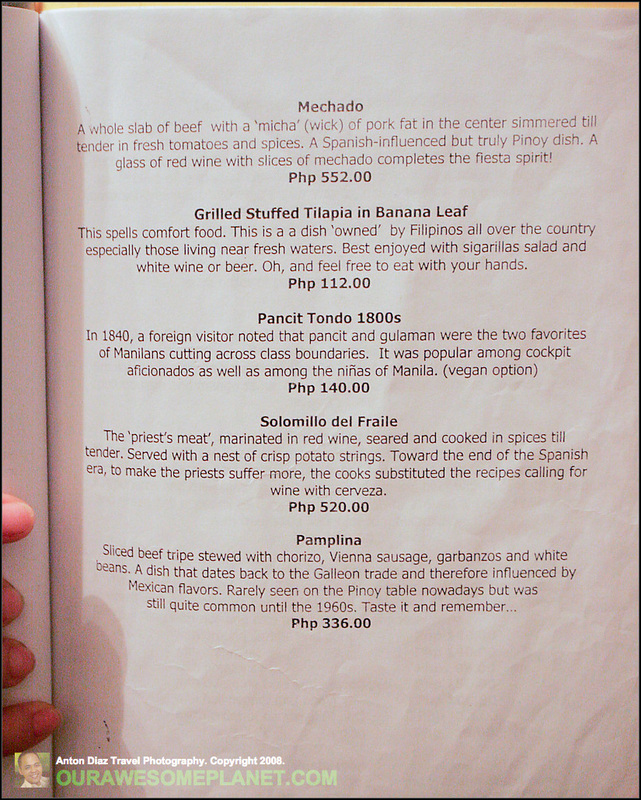 Cafe Juanita is an all time favorite for romantic dates within the metro. HARU Sushi Bar & Restaurant: Japanese Restaurant Cafe Juanita Style! 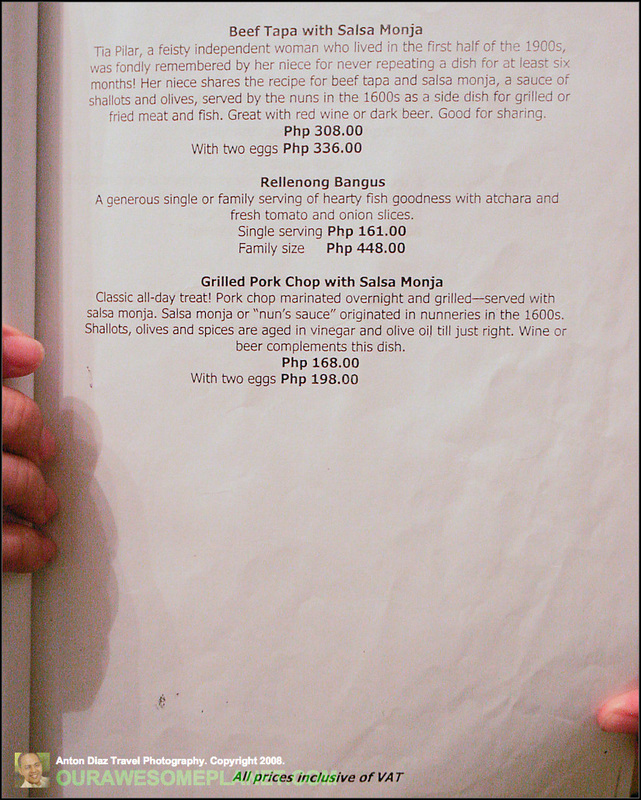 If you are looking for a unique Filipino restaurant where to bring your balikbayan or foreigner guests, you have to drive all the way to Bagoong Club (BC) in the Tomas Morato area in Quezon City. Most Filipinos are raving about this restaurant specializing on bagoong (salted and fermented fish paste). 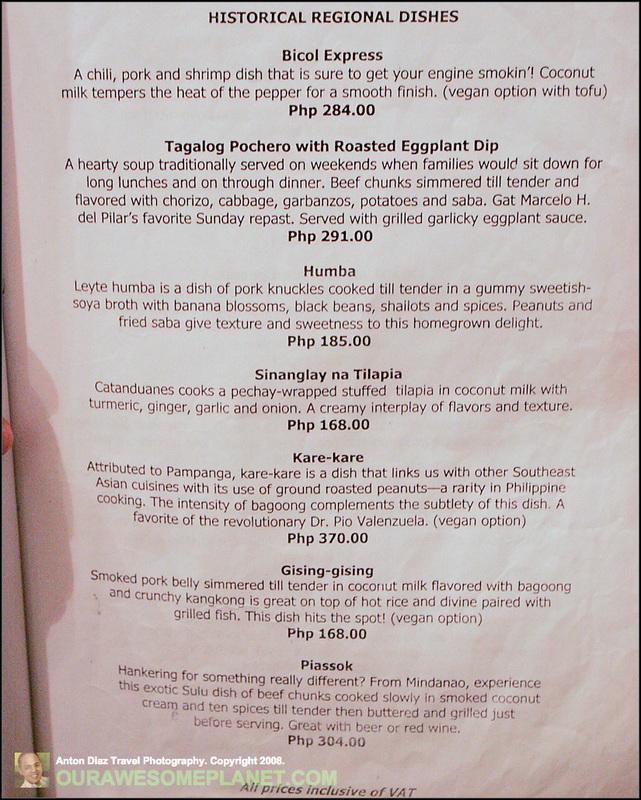 There are 7 variations of the Bagoong and you’ll encounter the first two– Bagoong Asya (P15) and Bagoong Umaga (P15), with the free singkamas appetizer. The traditional bagoong version is called Bagoong Lipunan (P15). Jon and Cathy Best Wishes! Congratulations to Jon and Cathy for the very nice and organized wedding yesterday! From the emotional entrance of the bride, to the Da Capo angelic music in the Church, and the flawless wedding flow organized by Christine Ong-Te Events. We also love the Jason Magbanua Wedding Video, the Wedding Games and remarkable Best Man Speech from Don. Congratulations and Best Wishes in your new life in New York! We bought and collected the 25 Best-Loved Children’s Books of all time from Adarna House, Lampara, Anvil Publishing and OMF. The Children’s Books are normally priced from P55-P65 and you can avail of 20-25% off depending on the publishing house and if you have a Manila International Book Fair 5-day pass card. We met Augie Rivera, author of Alamat ng Ampalaya and Rhandee Garlitos, author of Chenelyn! Chenelyn! Power Books, National Bookstore, and Anvil are 20% off across the board. That is a significant discount from published prices. Most of the religious publication houses are also present but their books are not discounted. We bought some DVDs of the life of St. Don Bosco (P500) and St. Francis Xavier (P450). I’ve always wanted to buy the Childcraft books but I’m still thinking how effective they are. Any experience with Childcrafts book? Did we miss any awesome find in the MIBF? Ang Ilustrador ng Kabataan (Ang INK) and Philippine Board on Books for Young People mounted a touring exhibit of the 25 of the Best-Loved Pinoy Children’s Books Characters of all time. It is based on a survey among hundreds of Filipino school children. I’m ashamed that I only know 3 out of the 25 pinoy characters. We decided to buy all the children’s books in the ongoing Manila International Book Fair in SMX Convention Center. You can catch the exhibit in the lobby of SMX Convention Center. Writer: Luis P. Gatmaitan, M.D. The Philippine Travel Fair is the Best Domestic Travel Fairs in the country where you can find cheap tickets, very good deals from airline, hotels, and resorts. All of the major tourist destinations in the country are represented in this travel fair. It is usually held around September and this year it happens Sept. 12-14, 2008 in Megatrade Hall in Megamall. 1. Decide on the places you want to go for vacation next year in the Philippines. Prioritize going to the booth of the places you want to visit. You can already get all the travel information you need to plan your vacation next year. The resorts offer as much as 20-50% discounted rates depending on the destination. There is a lot of clutter in the trade fair and you will be confused if you don’t have a set destination in mind. 2. Leverage expert travel resources in the travel fair to enhance your travel research. I’m planning a trip to Anini-Y and Butuan/ Surigao del Sur at the end of the month. Most of the local travel tourism officers are in the travel fair. I was able to do my research in less than 1 hours. I also was able to establish connections with the local people in that place. 3. Benchmark Travel Packages. I’m exploring the possibility of creating the best travel packages to certain destinations and offer it in OAP. It is easy to do a national benchmark of all the travel packages from different travel operators. Most people would collect all of the brochures and marketing materials from the different booths. 4. Best time to go is when the travel fair opens. Allot 3 hours just to go around the entire travel fair. 5. Reward the best booth by voting with your sticker. There is a competition for best booth that is why most of the booths are creative and done well. You can vote by putting your sticker on the booth that you like. I was a bit disappointed that most of the deals are for travel during the off peak season and before the year ends. I was expecting to find a travel package offer that I can’t resist but it failed to meet my expectation. For those who went to the travel fair, can you share the best deal you bought in the travel fair? Don’t forget to vote for the Puerto Princesa Subterranean River National Park and get a chance to win in their raffle at the end of the year. How to Advertise in Our Awesome Planet? Thank you for your interest in advertising in Our Awesome Planet! First, let me share with you how OAP started. I started Our Awesome Planet when my first son was born last January 2005. OAP is a personal blog and one of the country’s top blogs in the Food and Travel niche in the Philippines. It is a documentary of Aidan and Joshua’s childhood. Have you ever wondered what happened during your childhood? OAP is a love letter to our sons and one of the legacy that we can leave our kids. Also, it is travelogue of our family’s adventures. We love trying out new things and new experiences. 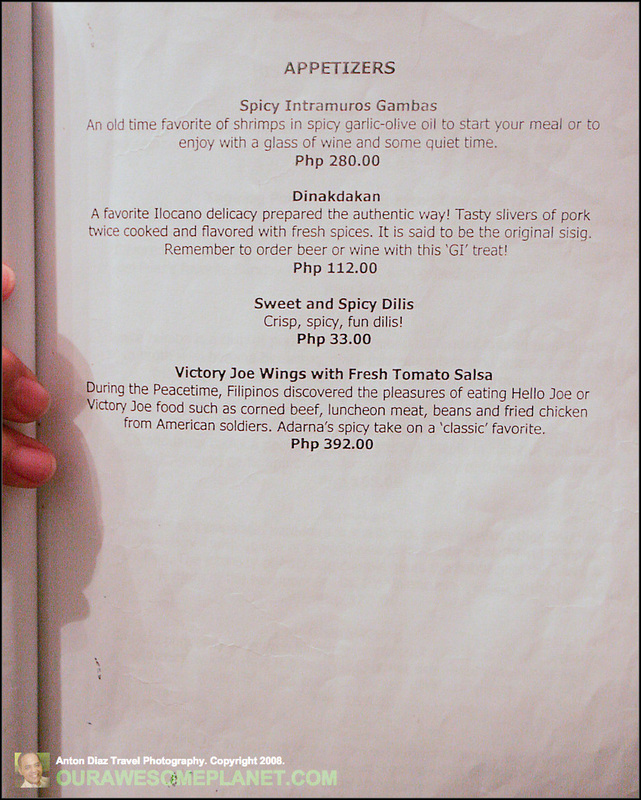 I’ve been to most of the restaurants, beaches, and hotels in the Philippines. Our Awesome Planet loves to work with Advertising Partners who shares a common interest and passion specially in promoting the best of the Philippines. OAP provides comprehensive and objective restaurant, hotel and resort reviews in the Philippines. We pay for all our meals and lodging expenses. We remove all conflicts of interest or disclose them if unavoidable. This includes getting freebies, ex-deals, attending press previews, or reviewing places connected with our family members. 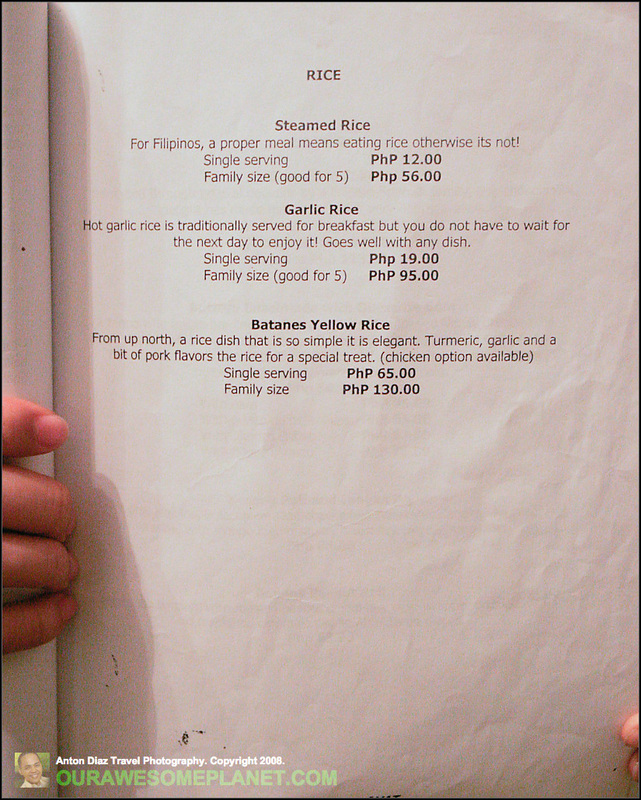 Fortunately, we don’t have a lot of family members who are in the restaurant and hotel industry in the Philippines. Personally, I do my own pro-bono campaigns to promote and advertise worthy causes, musical plays, operas, indie and animated films to uplift the arts and culture industry of the Philippines. OAP is a lifestyle blog that documents the food and travel adventures of our family in real time. 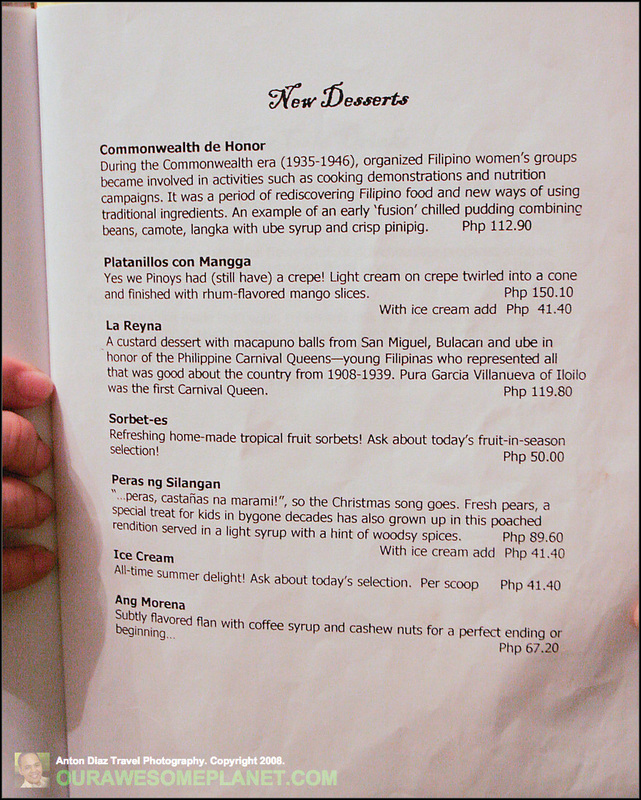 It showcases the best of food and travel destinations in the Philippines. OAP readers are smart professionals/entrepreneurs with a family and foodies who love to travel. 1. Leaderboard (728 x 90) – It is the most visible ad space in OAP. This is similar to a full-page ad in Magazines. 2. Main Banner (670 x 85) – This is the banner ad that appears on top of every blog posts. 3. Square Ad (300 x 250) – This is the best sidebar ad location in OAP. It appears in the main page and all blog posts. OAP does not allow any advertorial blog posts. All posts are based on our editorial discretion. OAP grants a first right of refusal before offering the advertising space to competitors. OAP is partnering with Effective Measure to provide third-party statistics on banner effectiveness and audience impact. How to place direct advertisement in Our Awesome Planet? Disclosure: We put disclosure statements in all our blog posts. I write most of the blog posts myself, and it expresses my own opinions. We only feature awesome experiences in the blog. P.S. Just send a note to [email protected] regarding your questions and clarifications about advertising in OAP. Anton worked for the biggest multinational company in the Philippines for almost 13 years, straight out of college, before becoming a full time Online Entrepreneur. He was the Chief Information Officer of Procter & Gamble Philippines when he finally quit his day job and decided to take his blog, Our Awesome Planet, to the next level in 2008. Our Awesome Planet, which he started in 2005, is the number #1 food and travel blog in the Philippines with over 18,000+ hits per day, 41,000+ followers and 10,200+ readers, and is still growing. His advocacy is to promote the “Food and Travel Secrets in the Philippines” and to inspire Filipinos that living in the Philippines is truly awesome! He was recognized as Go Negosyo’s Inspiring Young Filipino Entrepreneur Award in 2010. He was featured in Go Negosyo’s 7th book: “Go Negosyo’s 50 Inspiring Stories of Young Entrepreneurs” in 2011. Recently, he is the co-founder of the successful weekend markets called Mercato Centrale @ Bonifacio Global City, Mezza Norte @ UP Techno Hub, and Cucina Andare – the first Food Truck Market. Pampanga in a Plate full! We are excited to bring you THE Ultimate Pampanga Food Tour. We are doing a first ever 5-ways Lechon with Claude Tayag. Join us for this Ultimate Pampanga Tour! 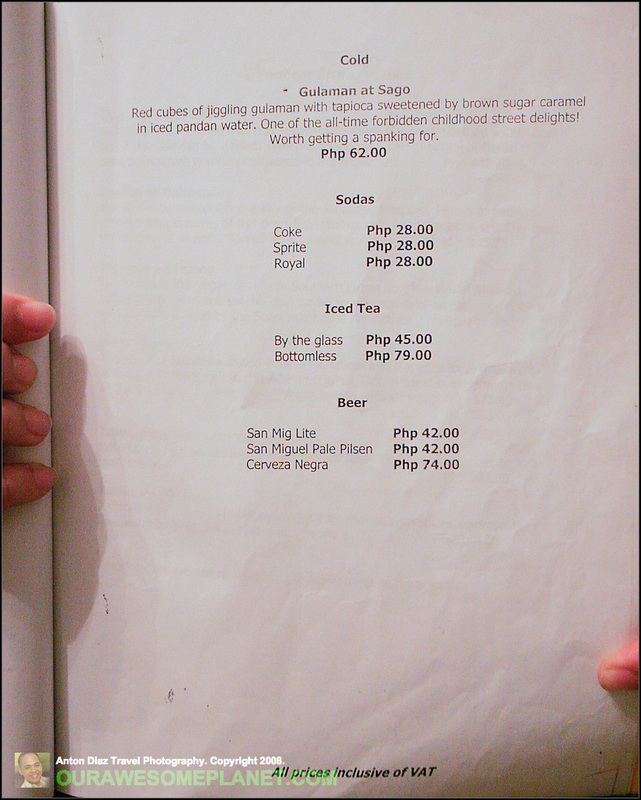 Journey to the central heartland as we immerse ourselves in things Kapampangan! From Baroque to betute, its fun-filled day as we poke around and get intimate with the very best of Pampanga’s cultural offerings. Gawk at the jewel-box of church in Betis while wading through the lahar-buried town of Bacolor. 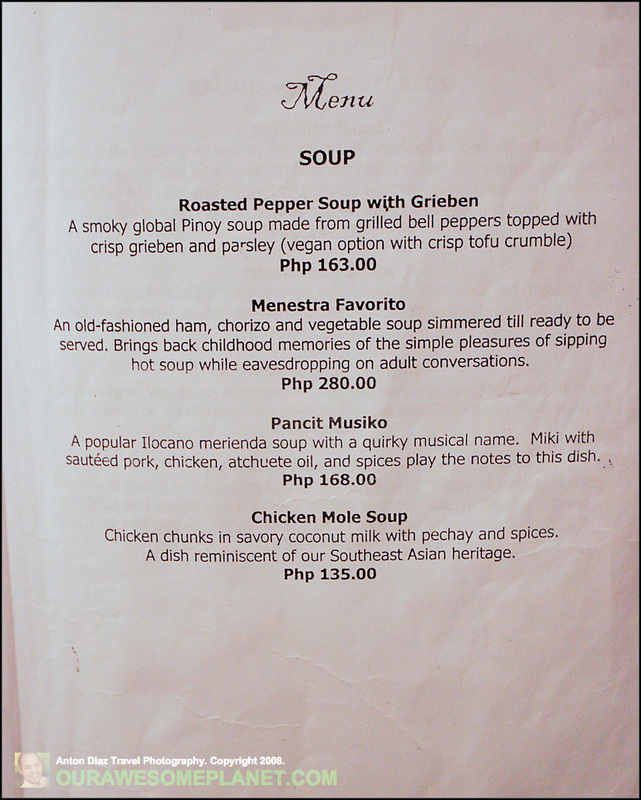 We’ll stuff ourselves silly with the best Kapampangan fare by one of the country’s best known Pampango chefs! A tour with nothing but Kapampangan cool! Tours brought to you by: Ultimate Philippines Travel Experiences in collaboration with Our Awesome Planet, Ivan About Town, Ivan Man Dy of Old Manila Walks and Spanx Manila Boy. See the Awesome Beauty of the Philippines! Contact me [email protected] +63917 (5683-627) to reserve your slot! Southern Secrets by the Spoonful! We are excited to finally open this tour to everyone. 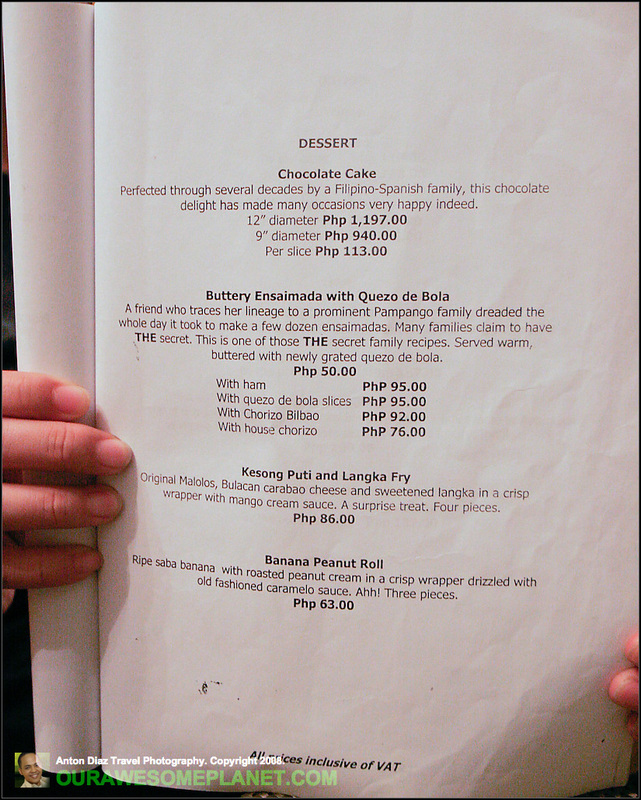 This is the Tagaytay Food Tour everyone was raving about. Join us for the first Ultimate Tagaytay Food Tour! Up up to the highlands! in THE COOLEST CITY SOUTH OF MANILA! mountain weather and best of all, indulging in her UNDISCOVERED culinary delights! A tour to nourish your stomach and spirit!